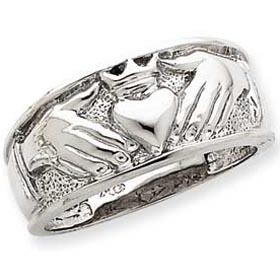 Claddagh rings are synonymous with St. Patrick’s Day and everything Irish. 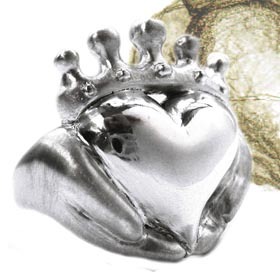 The Claddagh has a long history dating back to the 17 th century. 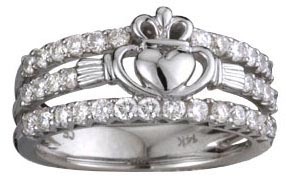 This classic expression of eternal love and friendship depicts a crowned heart held in two hands, the heart symbolizes love, the crown fidelity and the hands friendship. The classic claddagh ring we often see is yellow gold without any stones. In the spirit of Saint Patrick’s Day I wanted to find some more inspired styles for you and found these! Now Carrying the line – Eight of Swords (www.eightofswords.com) in Williamsburg, Brooklyn. 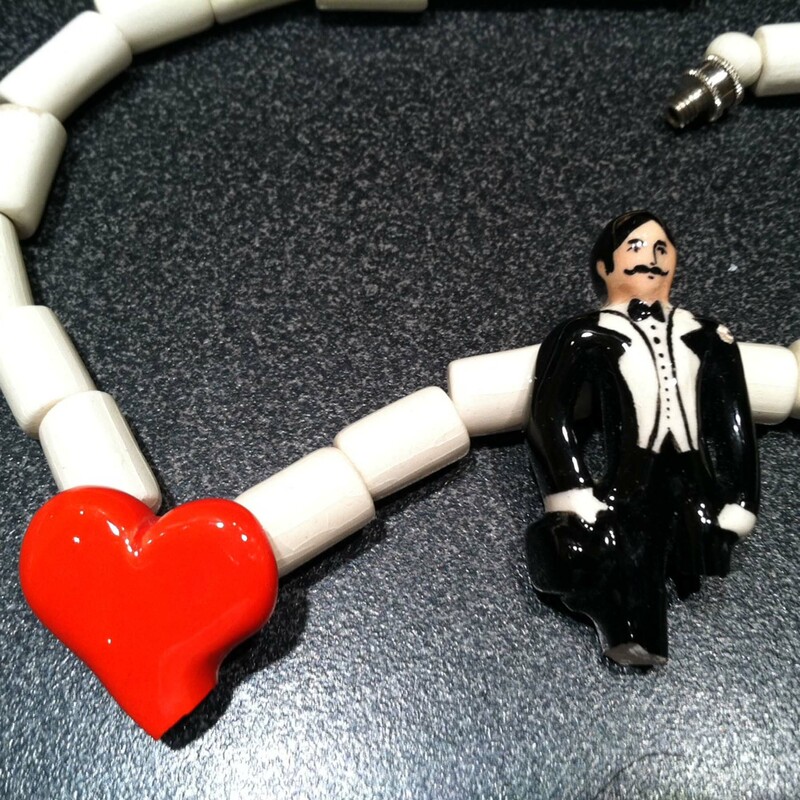 Stop by and try me on!